It was really a splendid occasion and a privileged for me to have attend the” iftar programme”. It was really organised couple with good food and drinks plus a conducive environment. It was really a good experience since it was my first time in Turkey to join the iftar programme and I was given a good welcome. I really appreciate it because everyone ate to their satisfaction and even sometimes I do take some food home with me from the iftar. Hope you have it the following years to come. 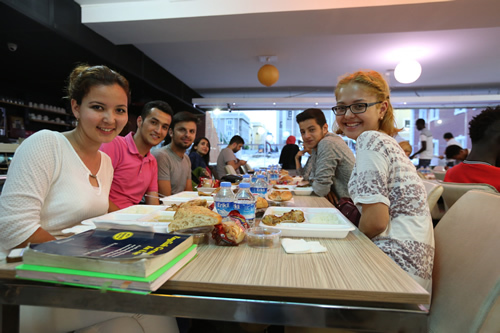 I would to say about the IFTAR arrangement from AKEV for the students was really incredible. 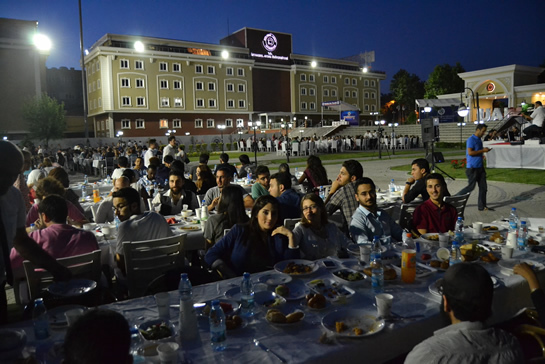 I am really thankful to Aydin University to support such an amazing event throughout the whole month of Ramadan. This was something out of the box. The best thing was that the food was not repeated and I didn’t get bored. They were coming everyday with a variety that was the best thing I observed and enjoyed. Over all it was just amazing experience. Thank you very much for the giving us the opportunity to say something about one of the awesome programs, Iftar. I am really thankful of the AKEV for conducting such kinds of events which are not only helping the foreign students financially but also helps all the student around the globe come together on same dinning table. 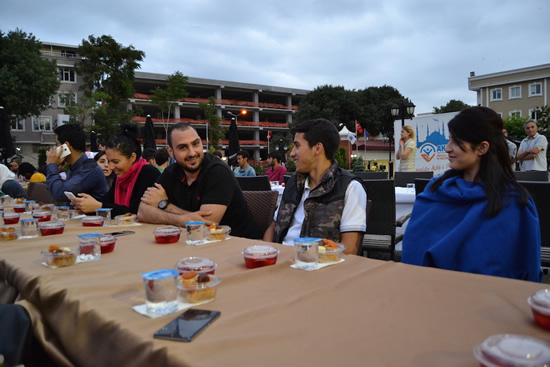 Iftar events were one of the warmest, after every tiring day students were coming together, sharing, helping, transforming cultural and business ideas on the same table. However, I learned a lot from my environment that you created through this event. i have found new friends understanding different cultures. I know students who even found new jobs. It was not just eating, but everything to improve my knowledge and expand my network. At the end Thank you again for such beautiful events i really loved it. This is Mohammad Khairul Islam Rasel. I came from Bangladesh. I am a Student of MBA. I enjoyed the all 30 Ifter parties of during the Ramadan time. It was great program organized by the IAU- Istanbul Aydin University. I got the opportunity to know about the Turkish culture very closely like Foods, Listening the Holy Quran, knowing the about the sponsored company how they are doing social responsibility. Our university helped us to share our holy feeling to each other and siting many countries students or friends together. Which made a strong brotherhood according to the Islam also. The presence of president of our university was great memory for me because he recognized me and he took Picture with me. Not only that even he”said my only one friend from Bangladesh” which made me feel batter that I am not alone here. Also the kind and cooperation hard working hands of our International Student and Staff Affairs for organizing and making successful the program is extremely appreciable. From them I have again learnt that how to complete the responsibility effectively. Now I am feeling that here in this university the president has designed the all programs and environment for learning. Once again I want to give thanks to all the persons who was related with that great program.